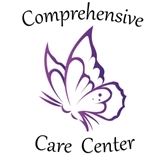 Comprehensive Care Center (Denville) - Book Appointment Online! Welcome to The Comprehensive Care Center where women of all ages receive personalized care for pregnancy, menstrual difficulties and menopause management. Here, each individual woman’s health concerns are met with sensitivity and respect. Dr. Yashica Shah and her team strive to provide quality obstetrical and gynecologic services to women of all ages. Our goal is to provide the most advanced OB/GYN care in a comfortable atmosphere. We are affiliated with Morristown Medical Center and St. Clare's Hospital in Denville, NJ. We provide the most up to date gynecologic procedures including DaVinci Robotic Surgery, Novasure ablation, and Adiana tubal ligation. For our obstetrical patients, we believe in education. During routine visits, we spend time counselling our patients on nutrition, healthy pregnancy, cord blood, and options available to you during the delivery. So much better than my prior OB/GYN. Dr Shah through my medical history and actively made sure I was following up on recommended screenings for someone of my age and health risks. It was a refreshing change. Dr. Haskell took his time speaking to me about my issues and my health. I never felt like I was rushed. He also sad looking at me and not working from my computer. Excellent provider I would definitely recommend.